In addition to a brand-new smartwatch with Wear OS, a stellar list of features, and a killer price, Mobvoi also just released a pair of wireless earbuds you may already be familiar with. That’s because the TicPods Free are not entirely new, debuting on Kickstarter last year, where the small but rapidly growing company backed by Google (among others) managed to raise a staggering $2.8 million. More than 22,000 people contributed to the incredible crowdfunding success of these latest AirPods rivals, and after fulfilling the bulk of those orders, Mobvoi decided to finally open global sales for all. The TicPods Free are not exactly crazy affordable, at $129.99 a pop, but just like the TicWatch C2, they’re remarkably feature-packed. We’re talking both Google Assistant and Siri support for hands-free voice commands, 18-hour battery life (with the help of a case), fast charging capabilities, IP5X water resistance, in-ear detection, and a whole bunch of neat touch control tricks. To activate your virtual assistant of choice, all you need to do is long press on the right bud for two seconds, then say “Hey Siri” or “Hey Google, followed by whatever it is you want done without further using your hands. Meanwhile, a simple double tap will effortlessly skip songs, whereas sliding up and down the TicPods Free adjusts volume. 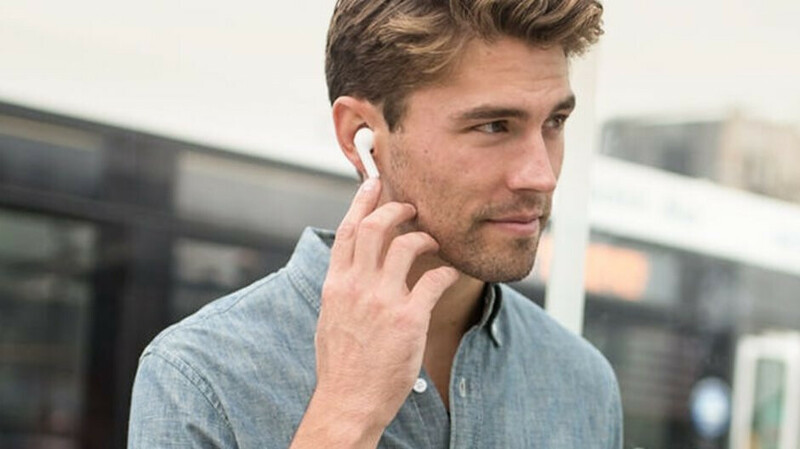 “Ergonomically” designed to fit “comfortably and securely in your ears”, these aren’t that similar to Apple’s AirPods, also boasting ambient noise cancellation, Bluetooth 4.2 connectivity, and three sleek color options. The “Navy” and “Lava” variants can be ordered for immediate shipping in the US, while the “Ice” model is still listed for pre-order through November 6. I thought it was free for the people who contributed. I was misled by its name. Seem pretty feature rich. Wonder if the sound quality is good? No mention of audio codec support indicates they use basic SBC meaning pretty poor quality audio. I'm avoiding them myself. Looking forward to more ambitious projects like Ascape's Soundflow.